Art-C: Impressionism......a subjective form of art!!!! Impressionism......a subjective form of art!!!! 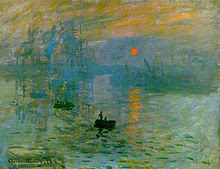 An art movement that originated in the 19th century, Impressionism derives its name from a work by the artist Claude Monet called 'Impression, soleil levant' which provoked the art critic Louis Leroy to coin the term as a satirical review since according to him, it resembled an unfinished piece of work!!! The art movement comprised of Parisian artists whose works were characterised by visible brush strokes, strong emphasis of light in different settings showing the passage of time & ordinary everyday subject matter depicted in unusual visual angles. Movement as a crucial element of human perception & experience was given much importance & basically it was the artists perspective, thus a very subjective point of view. It was also an attempt by the artists to focus more on colours rather than lines & bring art out of the studio thus creating works that were more visual rather than the focus on tiny details. In impressionist art, the brush strokes were often broken & visible, not subtle & smoothly blended inorder to achieve the effect of intense colour vibration. Short, thick strokes of paint were applied to quickly capture the essence of the subject, rather than its details, a technique called as 'impasto'. The colours were not mixed together but applied side by side, letting the viewer mix them optically & lending more depth to the subject which consisted of scenes from everyday life. As most often happens with any new movement, Impressionism gave rise to parallel movements in music & literature. Although it was strongly opposed initially as not being true to reality it was gradually accepted when artists like Claude Monet, Pierre-Auguste Renoir, Paul Cézanne got together & persisted in producing such works. 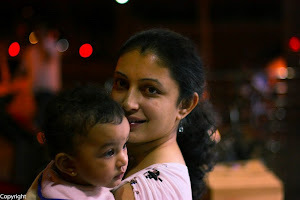 There was an element of spontaneity, colour & sunlight in them. Also other factors like photography which was then still in its nascent stage & Japanese art prints, called as 'Japonism' helped in contributing heavily to this movement. Although it may now be difficult to find pure impressionist paintings, its versatility can still be felt & seen in the work of most artists of our times!! !